Insider trading is illegal, and is widely believed to be unethical. It has received widespread attention in the media and has become, for some, the very symbol of ethical decay in business. For a practice that has come to epitomize unethical business behavior, however, insider trading has received surprisingly little ethical analysis. 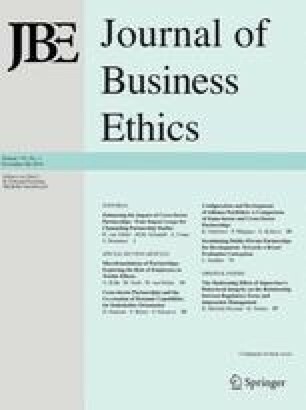 This article critically examines the principal ethical arguments against insider trading: the claim that the practice is unfair, the claim that it involves a “misappropriation” of information and the claim that it harms ordinary investors and the market as a whole. The author concludes that each of these arguments has some serious deficiencies; no one of them by itself provides a sufficient reason for outlawing insider trading. This does not mean, however, that there are no reasons for prohibiting the practice. The author argues that the real reason for outlawing insider trading is that it undermines the fiduciary relationship that lies at the heart of American business. Jennifer Moore is an Assistant Professor in the Department of Philosophy and the Department of Business Administration at the University of Delaware. She teaches and does research in the areas of business ethics and business law. She is the author of several articles in business ethics and co-editor of the anthology, Business Ethics: Readings and Cases in Corporate Morality, published by McGraw-Hill.